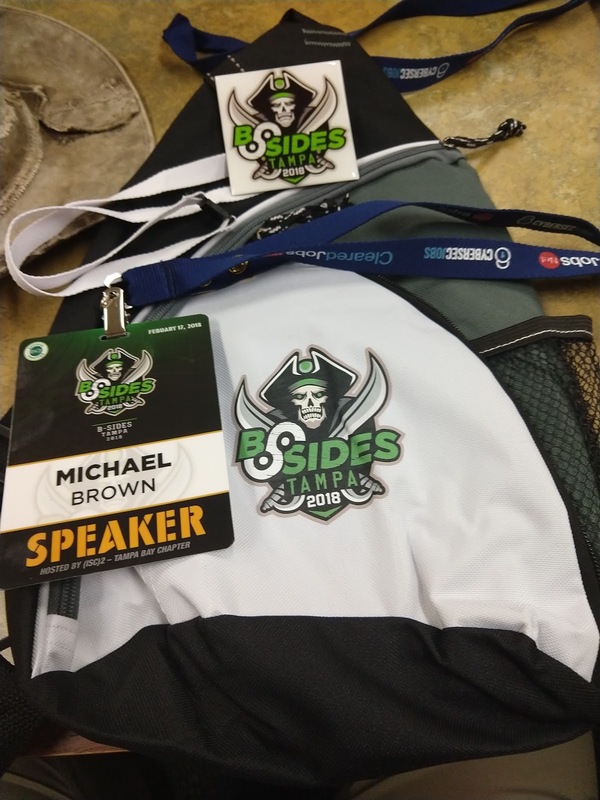 On Saturday, February 17th, I was in Tampa for the 5th Security BSides Tampa Conference. 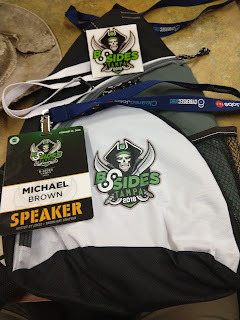 This was my third time attending, and my third time speaking. I spoke on the topic of the new "SOC for Cybersecurity" report. I'll do a separate posting on this report, giving resources. This conference had about 700 registered people there, not sure how many where there. As with the prior couple of conferences, it was again held at the Stetson College of Law center in Tampa. There were 5 tracks, a capture the flag game, lockpick village, training, and a recruitment track again. Several great speakers. Jack Daniel, Ira Winkler, Greg Hanis, and more. I also had some good conversations with several people. There were some problems last year, and I think they did a good job of addressing these. My only personal complaint was it being on President's Day Weekend due to other commitments which I had to miss on. Hopefully what ever date they pick next year won't conflict for me. It was good post. cyber security SOC is very important to protect from cyber attack. Thanks for sharing.